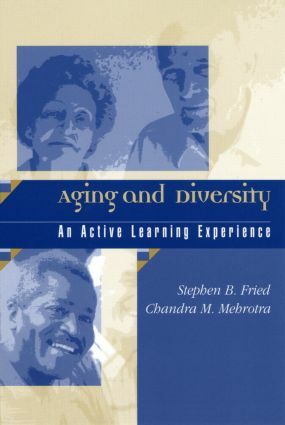 In a time of growing awareness of the diversity among elders, Fried and Mehrotra provide an excitingly fresh perspective that helps us develop a clearer understanding of gerontology and that bridges the gap between students and service providers in the field. Aging and Diversity combines a clear narrative with active learning experiences. The authors invite readers to broaden their works view, enhance culturally relevant skills, understand older adults through a life-course perspective, and view aging from a multi-ethnic perspective. Aging and Diversity will be invaluable to both students and practitioners in the fields of gerontology, psychology and sociology of aging, counseling, adult learning, social work, family studies, and multicultural studies.